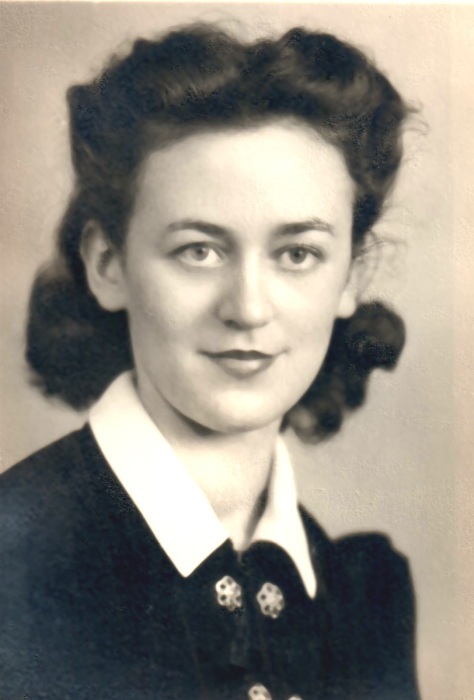 Ostie Ellen Wilhelm, age 98, of Alliance, passed away at 9:10 a.m., Sunday, March 31, 2019, at Brookdale Senior Living of Alliance. She was born July 1, 1920, in Randolph, Ohio, to Royce and Edith (Walker) Wilhelm. A 1938 graduate of Randolph High School where she was a stellar student, receiving all A’s and B’s on her report cards, Ostie then worked for Monarch Rubber Company in Hartville retiring in 1987 after 47 years of service. She was a hardworking, private person who enjoyed taking care of her brothers, having been very protective of her family and property. She handstitched an entire quilt and was the family historian. Survivors include her nephews, Gary and David Wilhelm of Alliance; six great-nieces and great-nephews; and neighbors, Tina and Jeff. She was preceded in death by her parents; brothers, Alton Wilhelm and Robert Wilhelm; niece, Carol Teutsch. Services will be held at 11 a.m. Thursday, April 4, 2019, at Cassaday-Turkle-Christian Funeral Home. Interment will be at Hillside Cemetery. Ostie’s family would like to express a special thank you to Jeff and Tina for their years of being great neighbors and becoming part of the family. Also, they would like to thank the wonderful staff at Brookdale Senior Living and Alliance Hospice for their care and kindness towards Ostie during her stay. Arrangements are by Cassaday-Turkle-Christian Funeral Home, 75 S. Union Ave., Alliance, OH 44601.